Dr. Carey Eberle is a specialist in pathology based San Francisco, California. She is a board-certified doctor in anatomic and clinical pathology. She graduated from the Albert Einstein College of Medicine of Yeshiva University and continued with a residency stage in anatomic and clinical pathology at the University of California, San Francisco, and another residency in pediatrics at the Children’s Hospital. Dr. Eberle is licensed to practice medicine in California and New York. 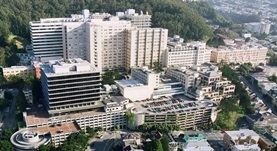 She is currently affiliated with the UCSF Medical Center.